New England Morgan Horse Show 2016 is excited to be hosting a select show horse sale. 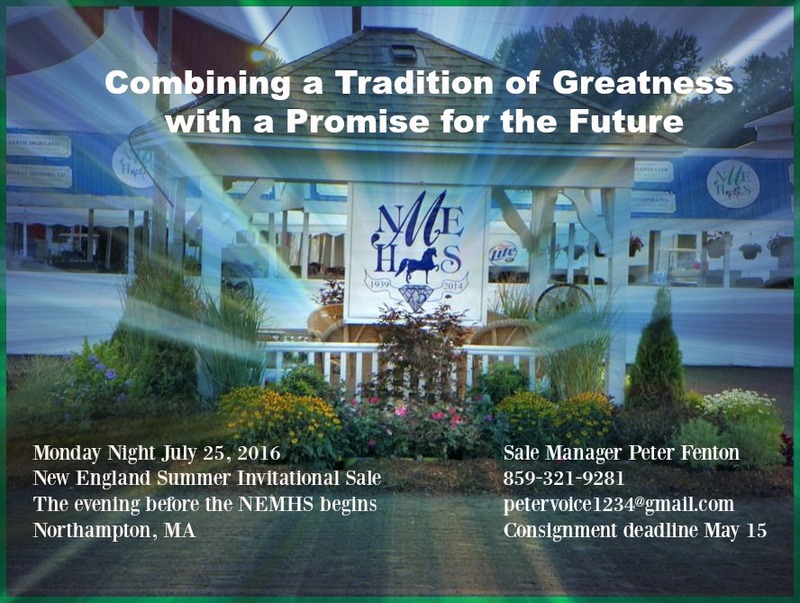 The New England Summer Invitational Sale will be held Monday evening, July 25 before the horse show begins. The NEMHS has been the home of some very successful public sales. This sale will be no different. We are pleased to have Peter Fenton managing the sale. Peter’s integrity and commitment to excellence is a winning combination to manage the NE Summer Invitational Sale. Consignments will close May 15, and the catalog will be out by the beginning of June.